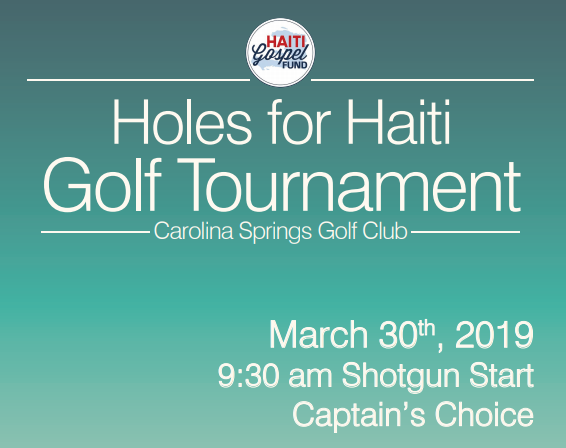 Our 6th Annual Holes for Haiti Golf Tournament will be held Saturday March 30 at Carolina Springs Golf Course. The cost per team is $400 and the format will be captain’s choice. If you have any questions please contact TJ Bargeron at haitigospelfund@gmail.com. Please visit our tournament website for more information and to sign up!